Alberto Gancedo didn’t set out to study in Delft, but eventually, that's exactly what he ended up doing. After completing an internship at TU Delft start-up Healthtech, the university supported him with his plan of studying microelectronics and working on a super-interesting project at the same time. After the completion of his six month internship, he returned to Spain to defend his bachelor’s thesis. Healthtech, however, was interested in having him return to complete the project's development. As with many start-ups, however, the company was unable to offer Gancedo a paid position. Instead, they said he could return as an intern, provided he was accepted into a master’s programme at TU Delft. Delft University Fund supports TU Delft by contributing to research, education and talent development. With the help of alumni, staff, individuals, foundations and companies interested in science, the fund does everything possible to help students and scientists to excel and make an impact on society. Alberto's aEEG project is made possible by donations from EEMCS alumni, initiated by Delft University Fund. 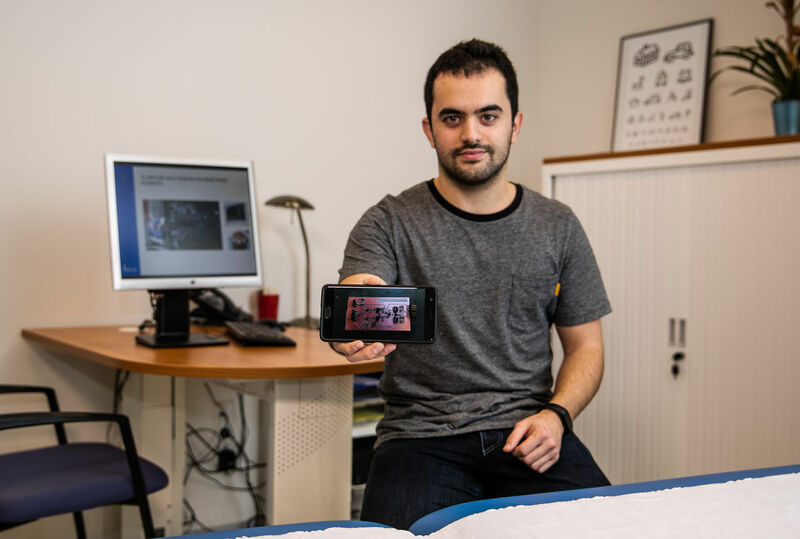 Because EEMCS alumni gave Alberto this opportunity, he can now work towards his goal: 'to make the aEEG system available for hospitals in developing countries who cannot afford the current large and expensive measurement systems’.